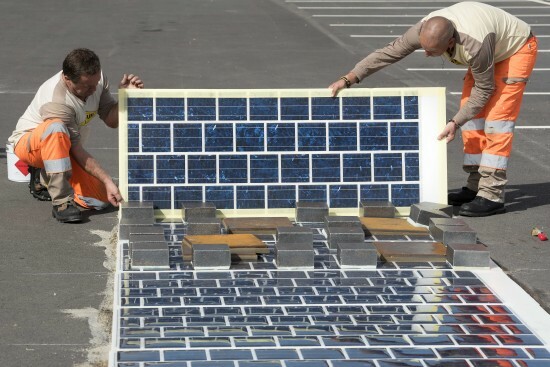 French authorities have announced that it plans to lay over 600 miles of solar roads within five years. Research from a five year study in collaboration with highway company COLAS indicates that the roads could provide power to up to 5 million people, or 8 percent of France’s population. However, some claim that the French government is merely subsidising French companies and not following the best road for alternative energy solutions. Project “Wattway,” as it is being called, was launched last October with the French Agency of Environment and Energy Management stating that just over 13 feet (4m) of solar road (215 square feet to be precise) could meet the energy demands (except heating) of one home. On that basis, 5,000 residents could draw on their energy supplies from as little as 0.62 miles of solar road. Five years of research deduced that French roads are only occupied by vehicles “10 percent of the time” and that the solution could pave the way for solving future energy demands. 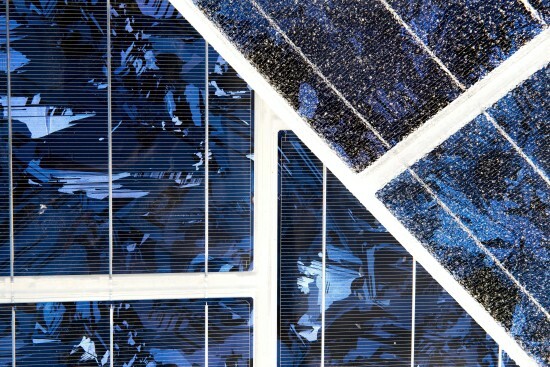 Looking at the specs, the surface uses polycrystalline silicon cells, which are “encapsulated in a substrate,” forming high yield solar panels. Only 0.28 inches (7mm) thin, the panels have an extremely high strength-to-weight ratio which allows them to deal with the weight of pretty much all motor-vehicles. For those thinking that driving on solar panels has the potential to be hazardous, fear not. Snowplow tests have been passed and the panels com equipped with all-weather skid-resistant coating. 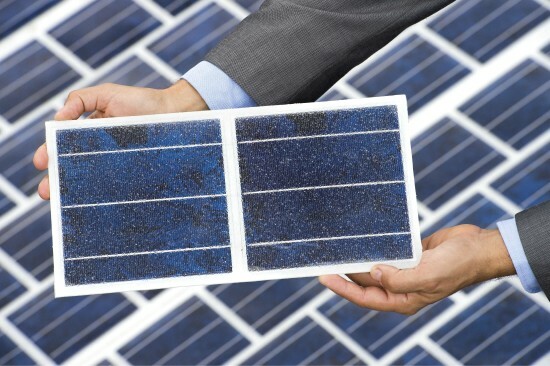 “These extremely fragile photovoltaic cells are coated in a multilayer substrate composed of resins and polymers, translucent enough to allow sunlight to pass through, and resistant enough to withstand truck traffic,” said COLAS. It’s not just homes the roads could potentially power. Outlining the possibilities for “intelligent roads,” COLAS said how they could be used for real time traffic management, self-driving cars, charging moving electric vehicles and eliminating black ice. What’s more, COLAS said that the panels can be “directly applied to existing roads, highways, bike paths, parking areas, etc., without any civil engineering work.” On top of that, the panels can last up to 20 years in areas that see infrequent traffic, meanwhile COLAS estimates the lifespan of the panels in regular traffic conditions to be 10 years. For example, if the quickest route from Caen in the North of France down to Marseille were to be covered, residents in both cities could be powered for 52 years if the panelled road lasted 10 years (and was removed afterwards). How Legitimate are COLAS’s claims? France gets 1,600–2,000 sunlight hours per year. Taking the minimum of that, and subtracting 10 percent (road occupancy from vehicles) that leaves 1,440 sunlight hours per year. Interestingly, COLAS’s claim of powering one home every 13 feet arose from the presumption of roads receiving only 1,000 sunlight hours per year, indicating that they are being extremely stringent with their study. Unsurprisingly, COLAS’s panels have a lower percentage yield than current photovoltaic market solutions, offering 15 percent solar yields compared to 19 percent, but one can presume that this is a byproduct of making the panels roadworthy and their altered angle of incidence. This equates (by COLAS’ calculations) to the panels costing $6.73 per Watt. However, according to Olivier Danielo of DDMagazine, this is “six times the cost “of large-scale photovoltaic cells.” Danielo has reason to be skeptical. COLAS specialize in highway construction and by creating an “energy efficient” solution actually implement roads that have a shorter lifespan than regular roads, thereby giving themselves more work. Surely it would be far more efficient to equip houses who can utilize the optimum angle of incidence in conjunction with the most efficient photovoltaic (PV) technology? Jenny Chase, head of solar analysis at Bloomberg New Energy Finance (“Solar Insight Team”) backs Danielo’s claims up. Danielo and Chase aren’t the only ones concerned, either. French engineer Nicolas Ott said that the energy payback from rooftop PV’s is 7.5:1 compared to Wattway’s 1.6:1. COLAS also claim to have “invented” the solar road when this is not the case. 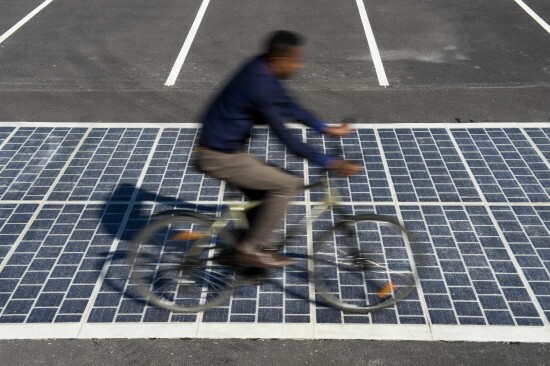 SolaRoad, a bike path in Krommanie in the Netherlands produced better than expected yields. However, when compared to three rooftop PV systems in the same area of the prototype road, data showed that rooftop PV’s was double that of the SolaRoad per square meter over the same period. Nonetheless, installation of the French solar road panels is set to start soon with funding coming from raising taxes on fossil fuels.